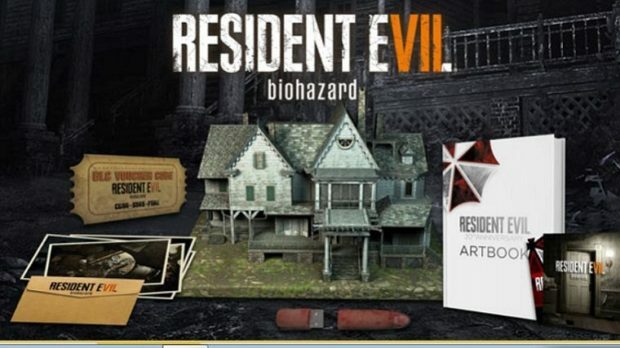 Capcom seems to be working on the collector’s edition of the upcoming Resident Evil 7 as the edition gets listed by the GameStop Italian website. Resident Evil 7 Biohazard page on the GameStop is now updated and include details of the Collector’s Edition. According to the details, the Collector’s Edition will be sold at the price tag of €99.98 and surprisingly, it doesn’t include the base game itself. It’s up to the die hard Resident Evil fans, whether they will purchase the game or the game along with the collector’s edition. It will cost you about €150.96 if you plan to buy the base game along with the Collector’s edition on the PC while about €160.96 for the PlayStation 4 or Xbox One. Capcom has been updating us with more details regarding the development of the game and its virtual reality version that is limited to PS VR. Resident Evil 7 Biohazard is a first person horror-survival game in development and is scheduled for release on January 24, 2017 for PC, Xbox One and PlayStation 4. Stay tuned for more updates!